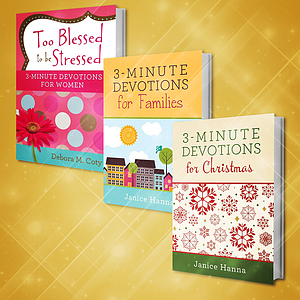 Take the time out together with this bundle of 3 Minute Devotionals for the whole family. 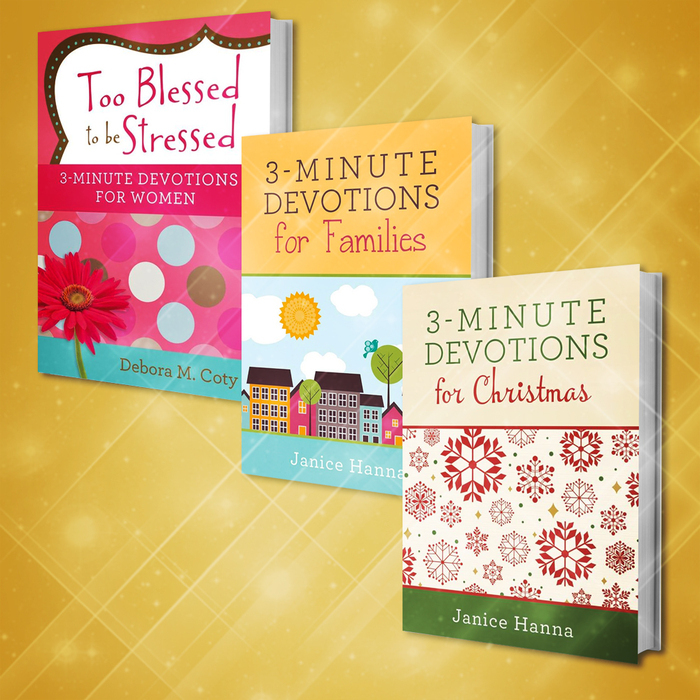 Be amazed by the difference 3 minutes make with this bundle of devotionals for the whole family. 3 Minutes for Everyone Bundle was published by Eden bundles in October 2016 and is our 19885th best seller. The ISBN for 3 Minutes for Everyone Bundle is EDENBUNDLE-1771. Be the first to review 3 Minutes for Everyone Bundle! Got a question? No problem! Just click here to ask us about 3 Minutes for Everyone Bundle.